The UPR-NSF Earth X-ray Analysis Center (EXACt) was established under the NSF-MRCe program and is supported bye the University of Puerto Rico at Mayagüez under the aegis of the Department of Geology. 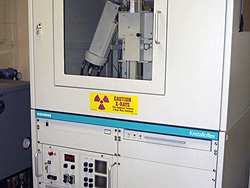 It contains state-of the art instruments for the chemical analyses of solids and elucidation of their structure, and the imaging of surface textures of solid material. The EXACt is a research laboratory of the Department of Geology and only has a very limited support staff. It is not a service laboratory, however it is the only laboratory of its kind in the Caribbean and researches from academia, industry and government may apply to use the instruments. All applications will be evaluated based on their scientific merit, the need to use the instruments to obtain useful data pursuant to well defined scientific goals of a project, and current and planned instrument use schedules. Successful researchers will be granted time on the instruments following the priorities established bye the Department of Geology. It is obligation of the user to backup the data obtained. 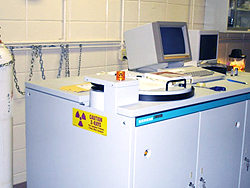 Data will be held by the laboratory for thirty (30) days, after which it may be eliminated from departmental files.